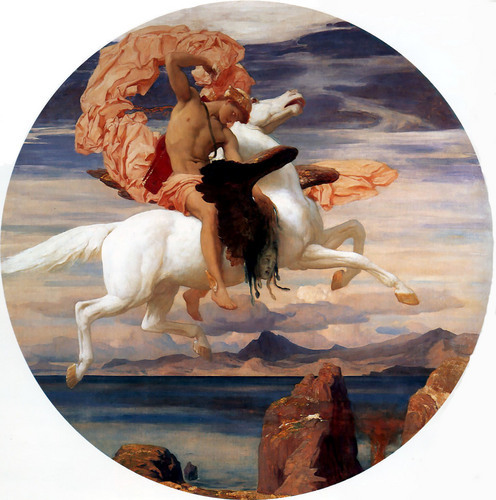 Perseus riding Pegasus. Perseus never rode Pegasus, this is just a fantastical image of the painter. HD Wallpaper and background images in the Greek Mythology club tagged: hero. This Greek Mythology photo might contain sign, poster, text, and chalkboard.